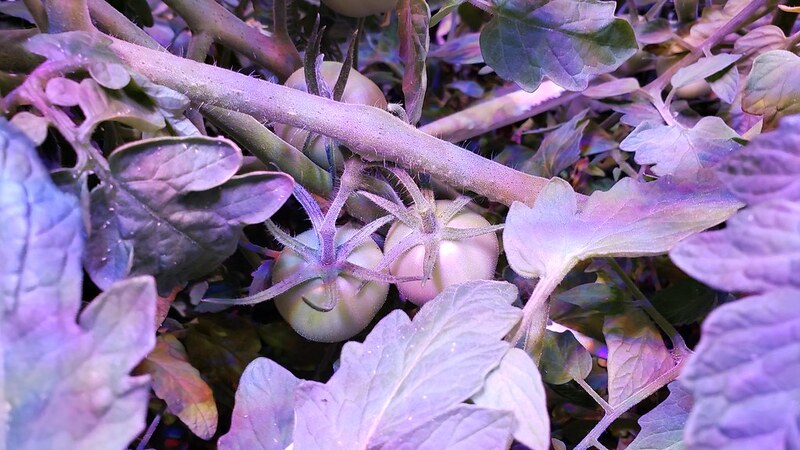 The tomato plants are growing nicely and have been setting fruit throughout the week. 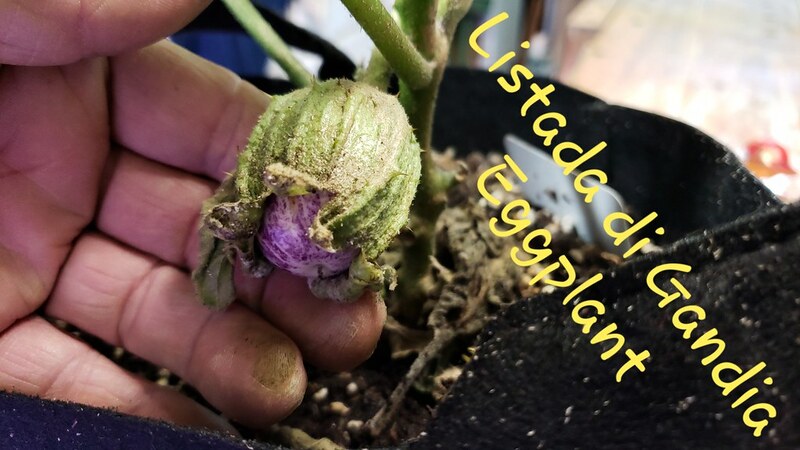 I got a few flowers on the eggplants, I'm not really expecting fruiting or maturing fruit on the eggplants in the tent, I'm just trying to nurse them through until I can transplant outside. 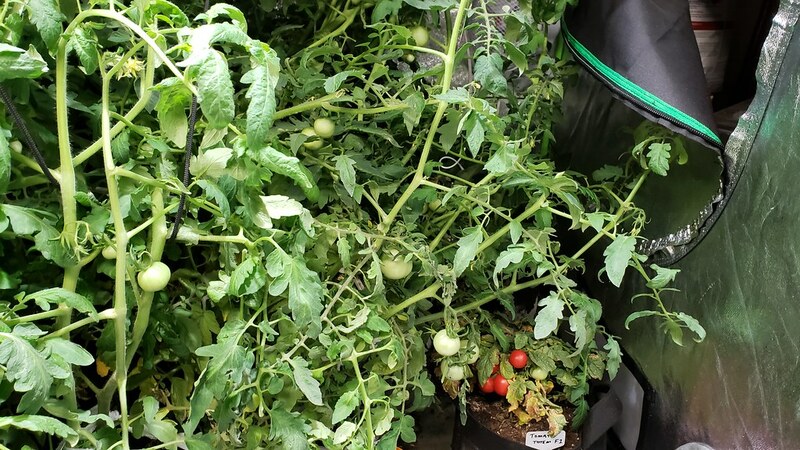 The Tomato plants are getting about three gallons of water every 24 hours and I will probably increase to 3.5 gallons per day later this week. The tub is working out great and I never realized how much plants transpire when the lights are on until this last week, the entire garage is like a sauna. I guess given the fact that only 5% of the water taken up by roots remains in the plant and the rest is loss due to transpiration. There is definitely no need for a humidifier. 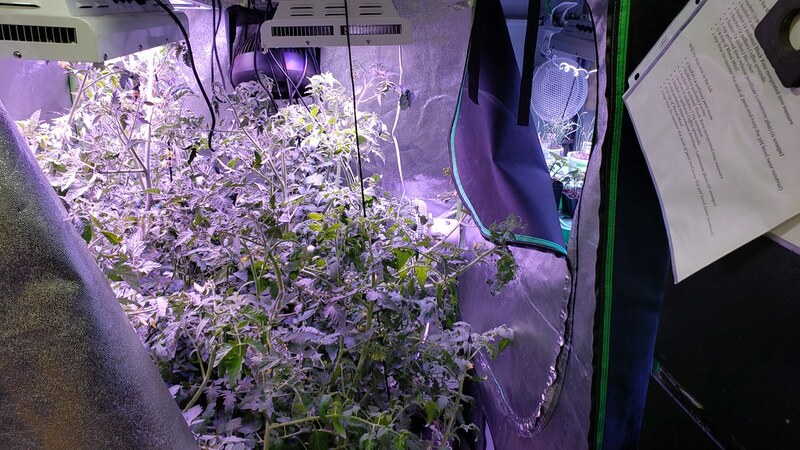 I trimmed the plants a tad then diluted in water and fed some "Jobes Organics Vegetable and Tomato 2 - 7 - 4" @ 1/4 cup and some "Calcium Sulfate Dihydrate" @ 1/4 cup. Raised the lights a bit, they're almost maxed out. 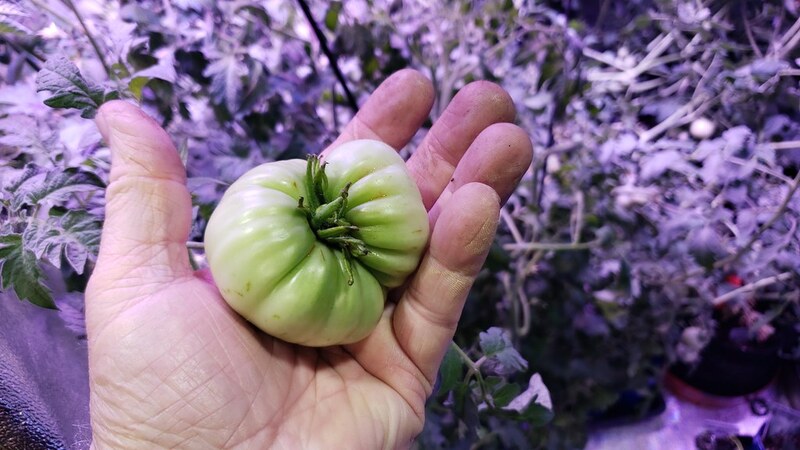 What does a $1,200.00 tomato look like? 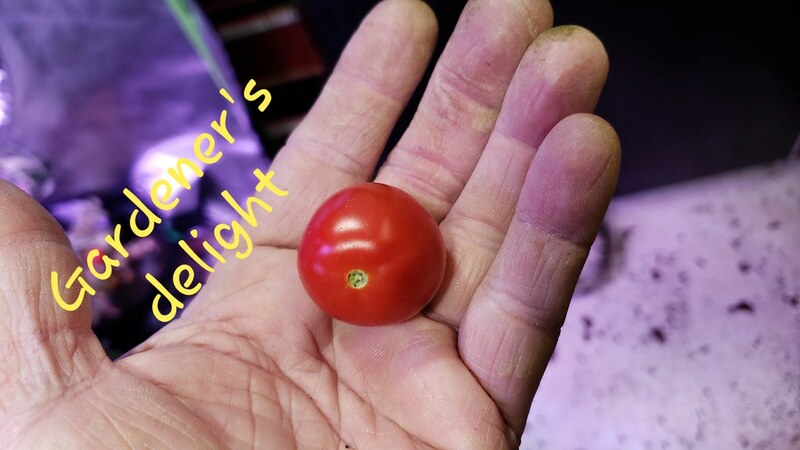 What does a $1,200.00 tomato look like ? That lighter probably tastes better than my tomato! The tomato wasn't all that great. But on the upside...we're making progress. 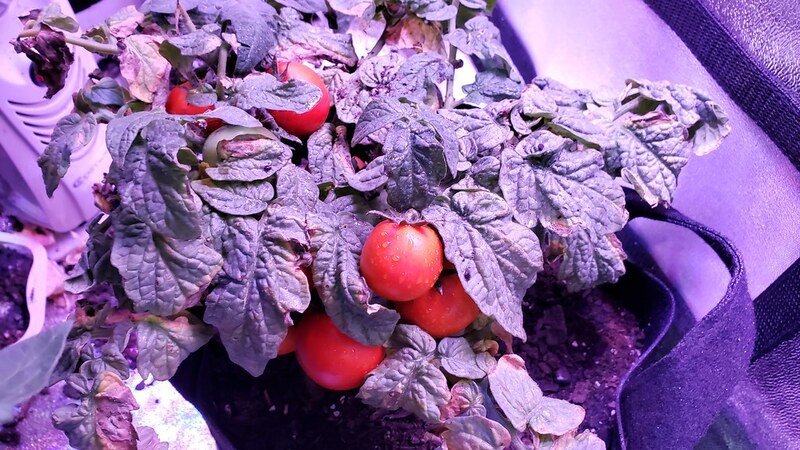 It took me 2 years to get tomatoes that can be eaten. I consider my garden to be a co-op of sorts. It provides me with a mental time out. I am totally tone deaf , so playing an instrument is out. Part color blind, so painting is also out. I don't feel like watching a dog poop and picking it up, as he watches me. 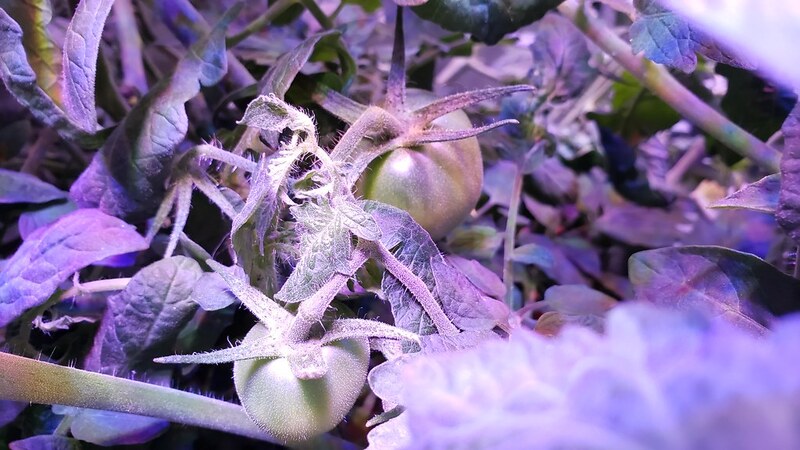 So growing stuff has it's rewards even if it's not perfect...YET. I am lucky to have the time and money to play and watch seeds grow. My Mother in law asked my wife. What do I do when I get home from work ? Her response was that I check my garden. M.I.L. told her that's great. He dosen't go drinking with the boys, not out all night. Not fixing a hotrod, just to waste money and crash it. She should be happy it's only a garden. I love that woman !!! Sounds like you were talking about me lol. I couldn't agree more, my Hobbies keep me out of trouble as I used to be a bit, eh, let's just say I have calmed down a bit! The aphids have spread to the pepper seedlings so everything has been getting treated with a Hydrogen Peroxide spray. 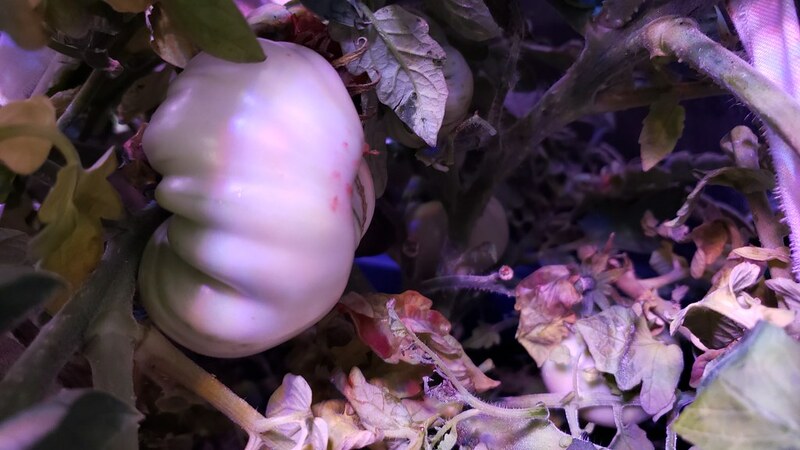 I have one tomato with signs of BER, I was getting pretty excited about the grow until this discovery. 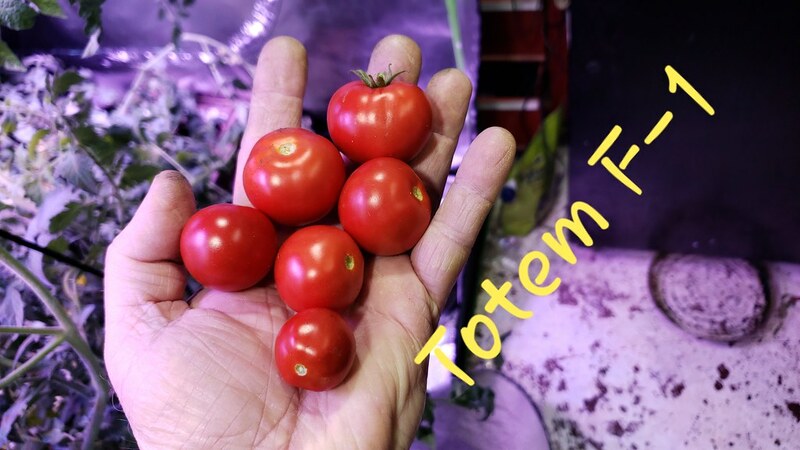 The Totem F1 tomatoes seem unaffected on this last batch. 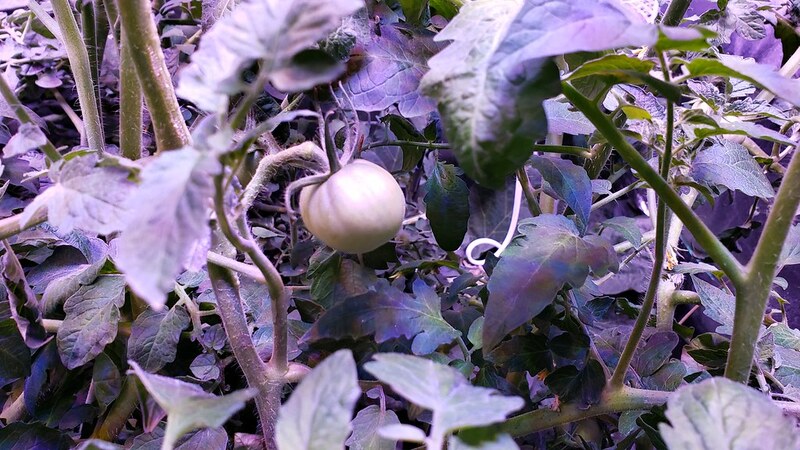 I have been checking the tomatoes every day, praying that the BER is almost gone. I do have a glimmer of hope with these Totem F1 tomato plants. At the least I know next year I can grow a dozen of these in the tent on shelves and get a decent tomato crop. That is, "if they are edible". 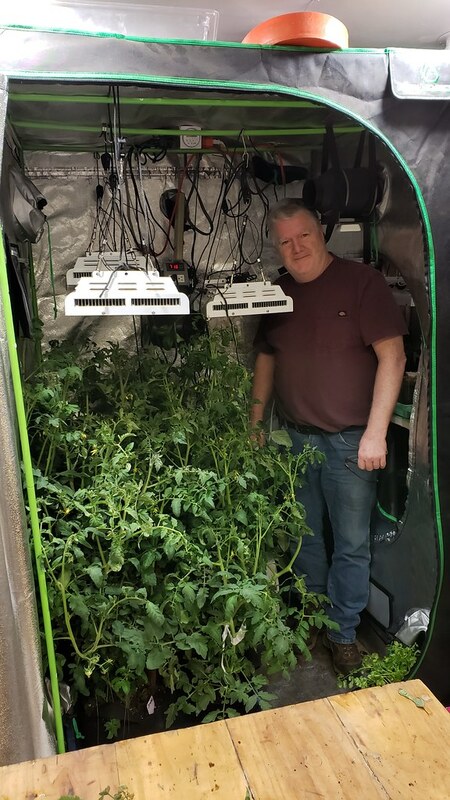 The plants are growing like crazy, this picture is 4 days after the picture with me standing inside the tent (March 18th), you can see there is no room to stand in there now. Plenty of tomatoes considering I have been a bit laxed with the the robotic bee so the fruit set could be better. 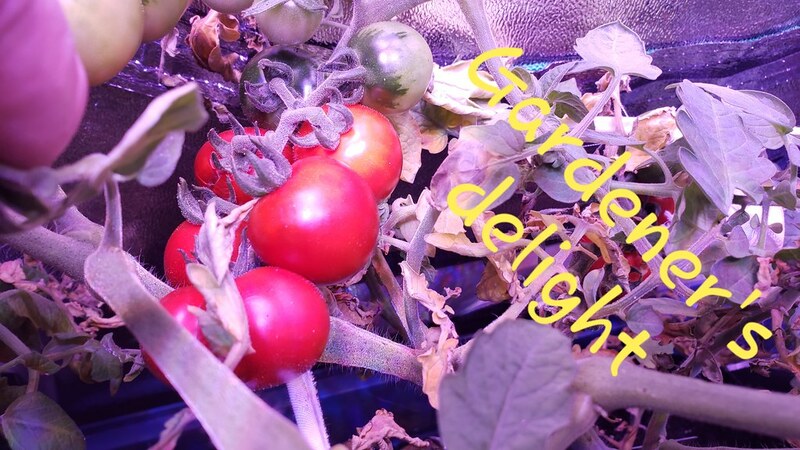 I fed the plants with this evenings watering, 4 scoops of "Jobes Organics Vegetable and Tomato 2 - 7 - 4" and 1 scoop of "Calcium Sulfate Dihydrate". I'm not sure what size the scoop is but I'm guessing about 3 tablespoons. The plants seem to be settled in at three gallons of water every 24 hours. I had to trim everything back again Saturday. 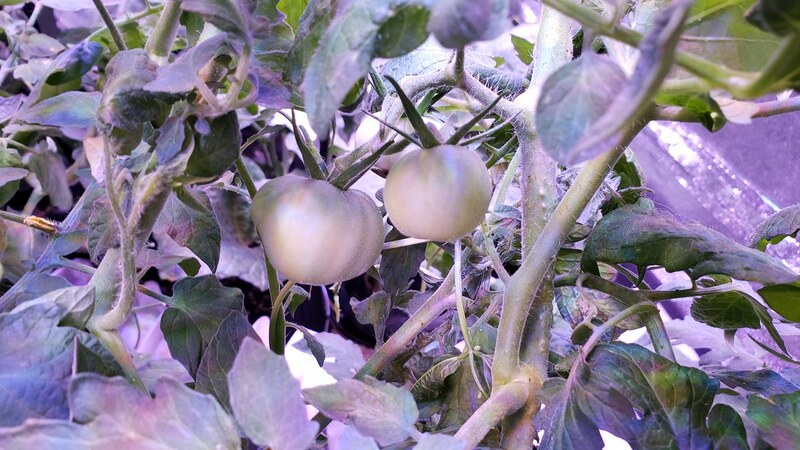 Some of the tomatoes are near Golf ball size. 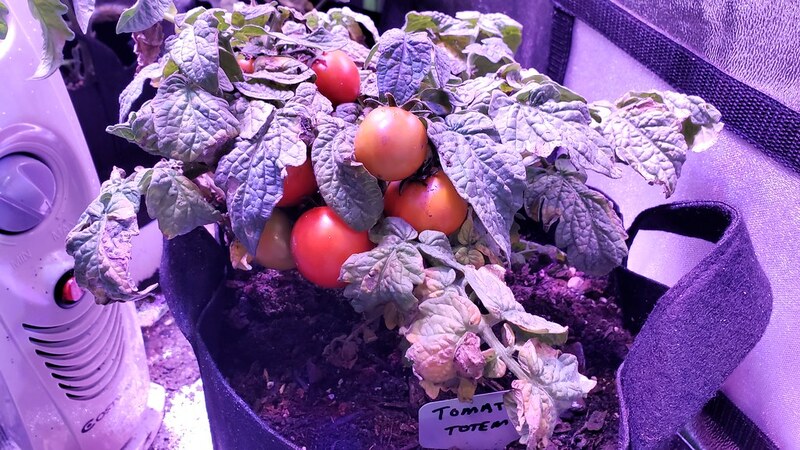 Got a tomato off of the Totem that was actually pretty good, what's crazy is that this was the only mater on the plant that showed signs of BER, I just cut that off and it was fine. Now I'm down to $600.00 per/tomato. 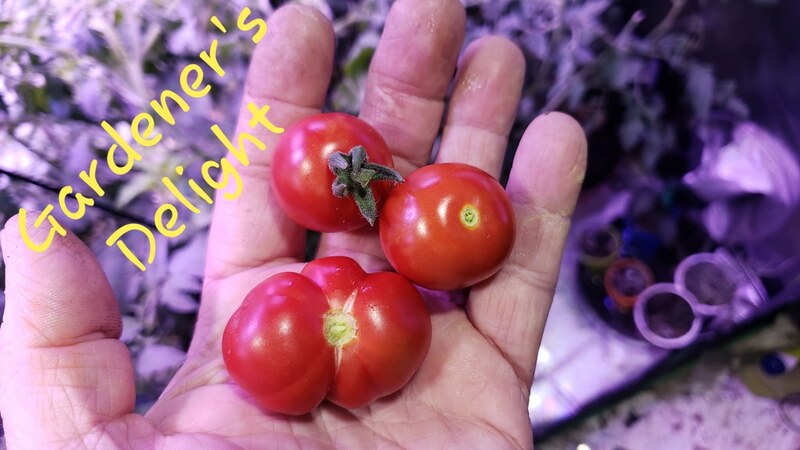 I was checking the plants real good today and noticed a few red tomatoes, I need to be more on top of these plants, I had about three that were way past ripe. These are the Gardeners delight and no BER. You can see a few to the right that were also no good. Top 2 out of this batch were past ripe, they were fed to the rehab turtles. 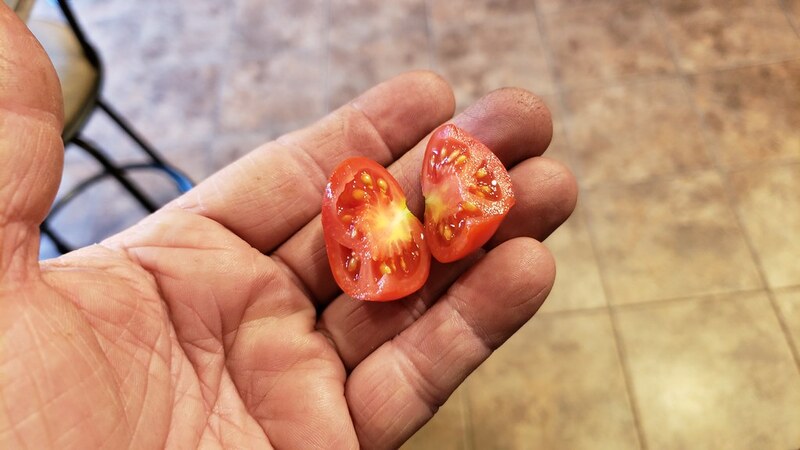 When I was grabbing for the over ripe tomato it appeared that half was green and half was over ripe so I yanked this guy off by mistake thinking it was a BER tomato... Ooops! At first I was a bit upset and thought to myself, "Wow, this may not be a FAIL after all"! (Looking at the bigger picture of course). The over ripe tomato was here. The one I pulled above and the one below are about the same size. The gardeners delight was really good, much better than the totem, but to be fair, the totem may not have been at its ripest. 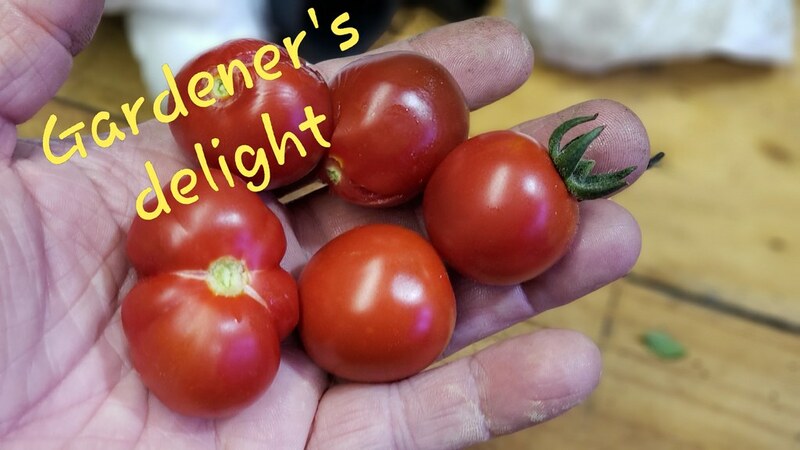 Although this is a cherry type tomato, it's a bit more acidic and not as sweet as say a sweet 100 but it does have a great tomato flavor like your slicing tomatoes. 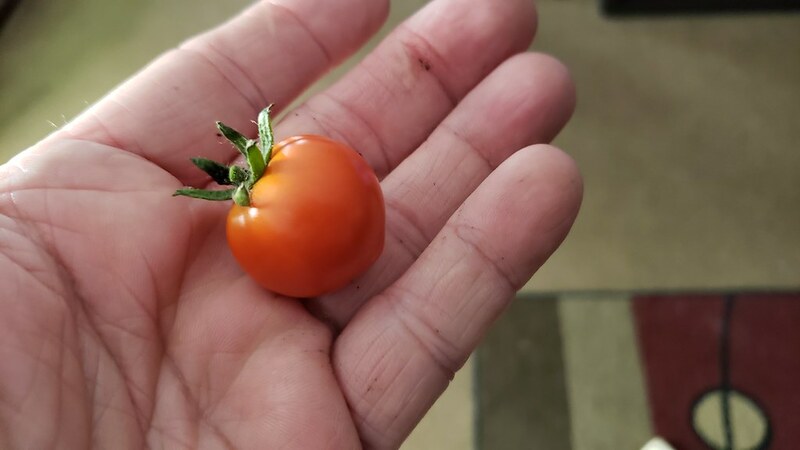 I can honestly say that this is the first time in March I had a great tasting tomato! Last edited by SQWIBB; 3 Weeks Ago at 01:52 PM. The tomato plants are a bit out of control, they're leaning to one side, I'll do my best to keep them in check. 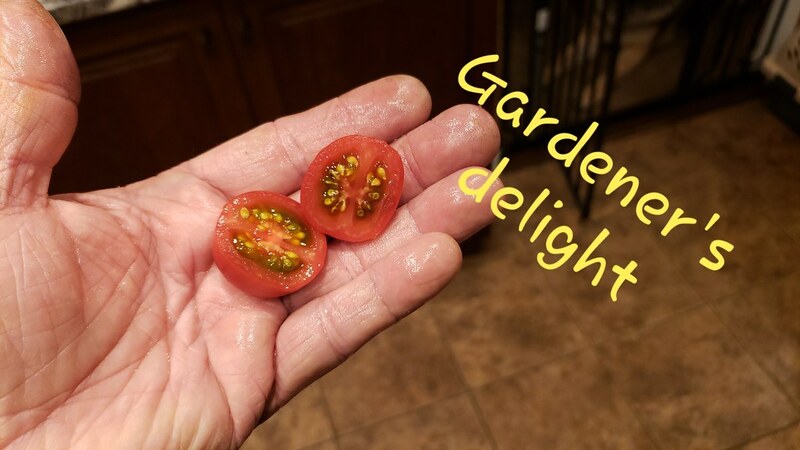 I got to try a few more tomatoes today and I find that the Totem F-1's are sweeter, not as acidic, but not as flavorful as the Gardeners delight. I prefer the Gardeners delight for snacking. I had to raise the eggplants up onto milk crates as the tomato plants absorbed the eggplants. I was pretty happy to see this little guy. Keeping my fingers crossed.